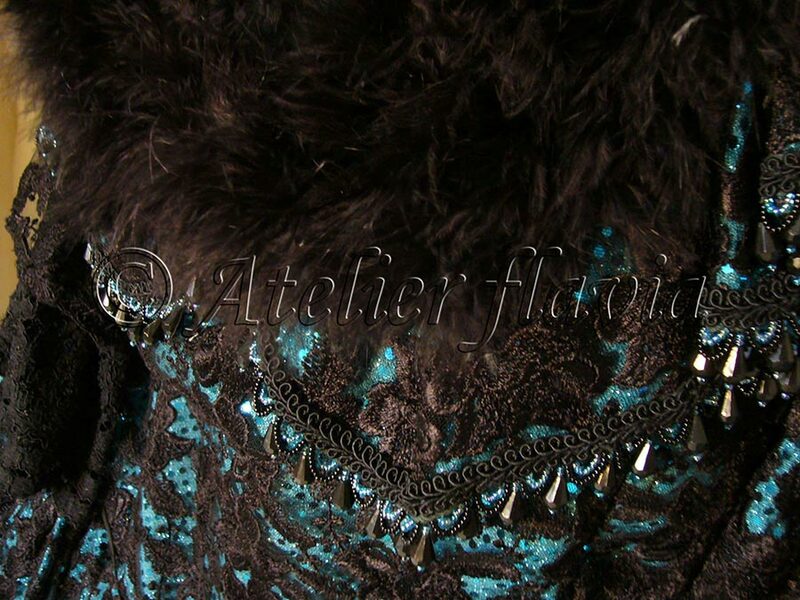 Costume: polyester lace, polyester and elastane lamé, plastic sequins, polyester passementerie, plastic and glass pearls, ostrich feathers boa, cotton and polyester string, polyester satin lining. 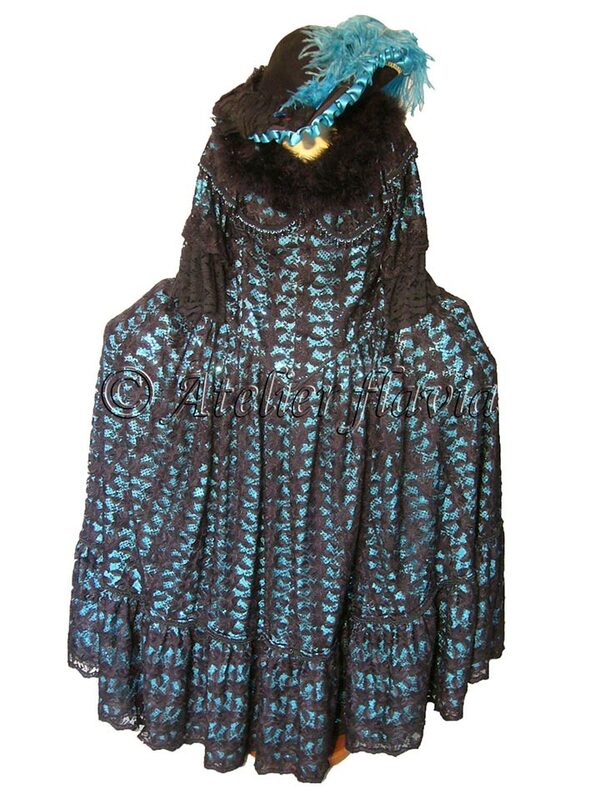 Hat: polyester satin, lurex passementerie, ostrich feathers, wool felt base. 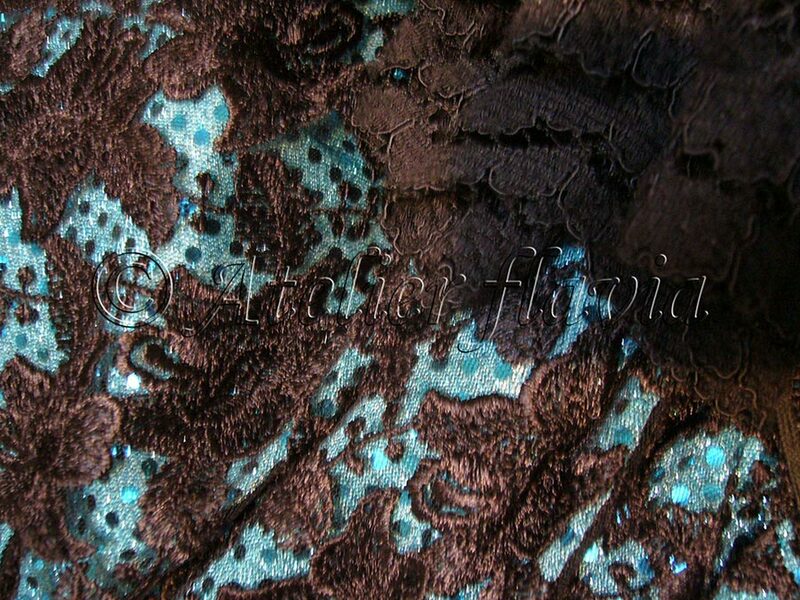 Handbag: polyester lace, polyester and elastane lamé, plastic sequins, polyester satin ribbon.